Visiting Feelapland and Syvasenvaara Fell will get you outdoors. Step off the beaten path and head to Auttikongas and German Soldier s Cemetery. Get out of town with these interesting Rovaniemi side-trips: Kemi Church (in Kemi) and Tatuka Palvelut (in Ylitornio). There's much more to do: browse the collection at Rovaniemi City Library, let the kids burn off some steam at Angry Birds Park, take an in-depth tour of Rovaniemi Local History Museum, and buy something for everyone on your list at Arctic Circle Mall. 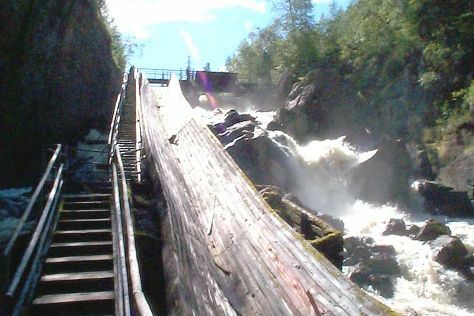 To see reviews, more things to do, photos, and other tourist information, you can read our Rovaniemi vacation planning site . In December, daytime highs in Rovaniemi are -6°C, while nighttime lows are -13°C. Wrap up your sightseeing on the 16th (Sun) to allow time to travel back home.